This year I'm trying a new math homework opportunity/assignment. We are watching the amount of paper we are using and I've found that I have been using WAY too much paper... and I'm not sure it's exactly the type of math homework that I want my students completing with their family. I enjoy hearing my kids 'talk' and 'do' math... so... I've taken the 36 specific math topics we cover in 2nd grade and created a game board for 1 side of the page. 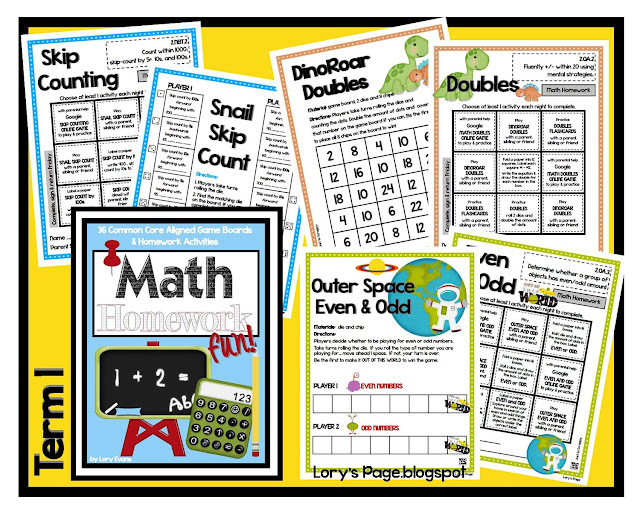 On the other side is a quick description of the Common Core standard and 9 different activities the kids can choose to do throughout the week. When they complete the activity... they will color in the box. Friday they will return the 1 page (yep, 1 page for the whole week!!!) with the various boxes colored in. 4 boxes will be the minimum... but I always have a couple students/parents that want 'more'... well... complete all the boxes if that is your desire!! A quick parent signature to verify completion and we are good to go. They'll return the page on Friday and then I'll get it back to them so they can always have activities to do at home on weekends or holidays. I'm excited to try them out! I'd love to give the whole set away... leave a comment with your email and I announce the winner Wednesday at 9PM!! this looks fabulous!! My students always love your games! I will definitely be checking this out!! This looks like much more fun than math worksheets! Would love to win! I have been using a lot of paper for math, so hopefully this will help me cut down a bit too! This is a GREAT way to save paper! I think the kids will love it! Lory, I love everything you do, I know this is going to be amazing. I hope I win! I just found your site while looking around Pinterest. WOW, there is so much neat stuff here. I will definitely be bookmarking your blog. And I would love to win this set. Thank you for the great site and opportunity to win. What a fabulous idea! It looks great and even if I don't win it, it'll be added to my wish list, for sure! How smart! I love this idea and am keeping my fingers crossed! Oh! These are fabulous! 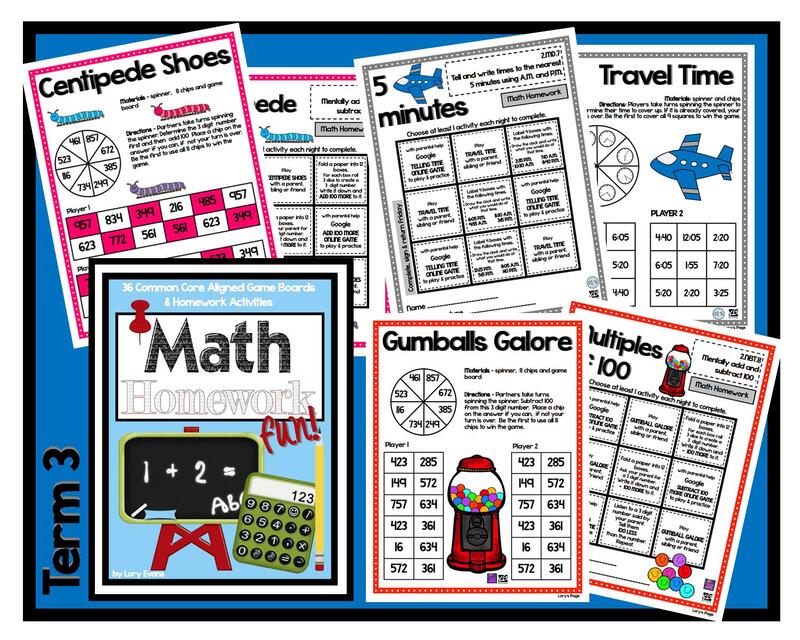 I love the math games you did a few years ago. now that I am going to second grade I do not have any materials for the grade level and would love a copy of these! They look fabulous! I love this idea! Homework is always such a struggle. This idea looks wonderful. That is a great idea! 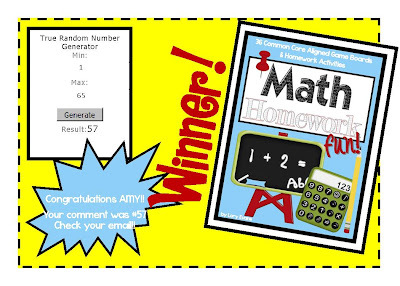 I would love to win a copy! I would love to try this in my second grade classroom. This looks awesome! Such a neat idea! I'd love to win. These look great! 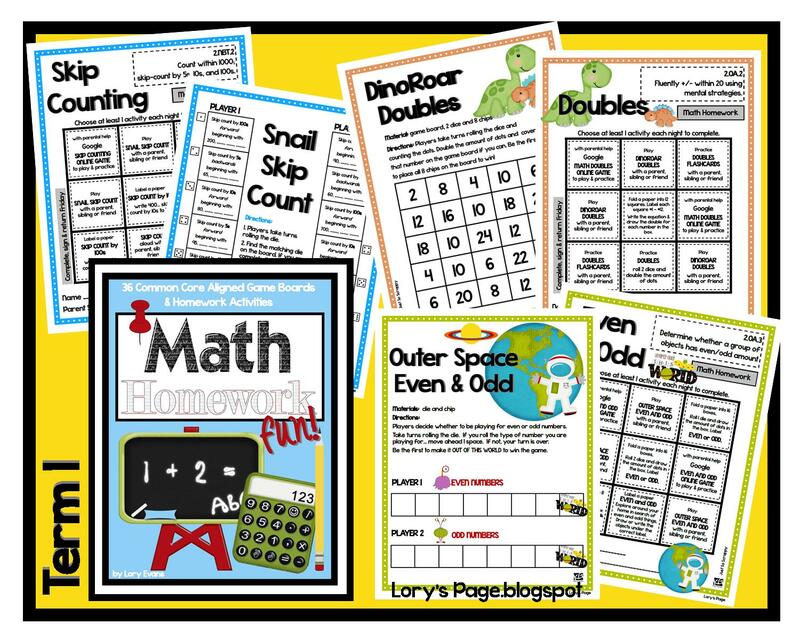 I already have your Daily Math for the year and I love them :) I used them during morning work time. They really helped my students to review important math skills. I hope I could win these homework sets too. I love your products! This is exactly the kind of homework I want to use this year! I think that it would be easier for parents, save me time, and save a lot of paper! Thank you! I LOVE this idea! I teach first grade but I could use these to differentiate for my advanced students. Love this idea! Anything that will get the parents involved and talking with their children is a definite plus! Oh Lori, this package looks awesome. I love your Daily Math for 2nd grade. I used it all year last year-faithfully. As a matter of fact, I already have my packets made for the beginning of the year. 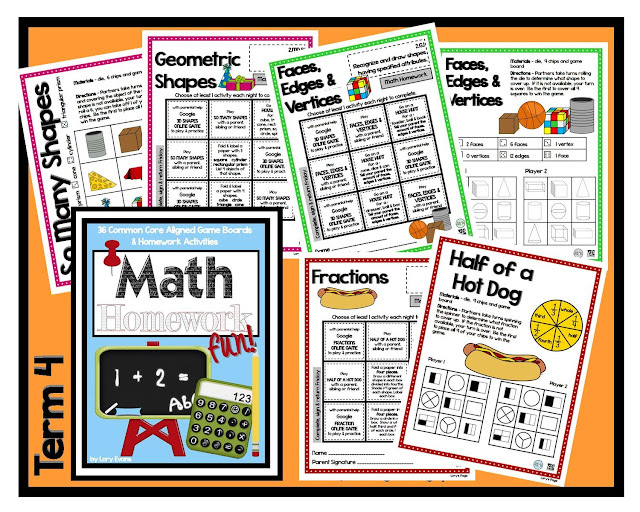 These homework activities would fit perfectly with my plan for this school year. I'll be wishlisting them immediately. I just got moved to 2nd from K....This is AWESOME!!! I would love to win this!! What a great idea! Rethinking my paper usage as well! This looks fabulous! I would love to have it for my kiddos. I absolutely love all your math stuff for 2nd grade. I like the homework idea. I'm interested in trying it out. Thanks for all your hard work! This is fantastic! Just what I need. Wow! Your work always amazes me! I would love to win. Wow! What a great way to reinforce skills! Awesome idea! I would love to win a copy! I love your stuff, Lory, and I'm sure this is just as awesome as everything else of yours that we use in my class. Thanks for the chance to win! I love everything you make! I would love this! Thanks! These look awesome!! I'd love to win a set! Oh my I would love these! I already use your Daily Math! Oh my!! This is SO cute!! I would love to win it. I just LOVE this idea! 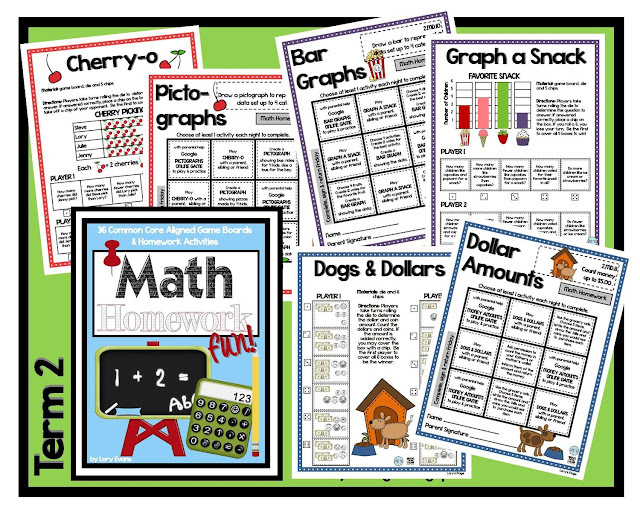 It's a great way to save paper and keep the students engaged and also give them an opportunity to practice at home. I would love to be able to incorporate something like this! jumping grades, this would be a life saver for me!!! These are awesome!!! Thank you for creating them! This looks awesome! I do something similar and assign games each week (they usually go along with a skill we are working on that week in class). Love the idea for the back!! Great idea! Games are a great way to review skills. I like the one page aspect of it also. What a great idea for saving copies and still providing meaningful practice! You emailed these to me about a week ago because I had won them from another blog. I just want to let you know how much I appreciate them. You sent me both 1st and 2nd, which is perfect since this year I am moving to a multi-age first and second grade class. I am so excited to use these and I know my students will love them! Thanks again!